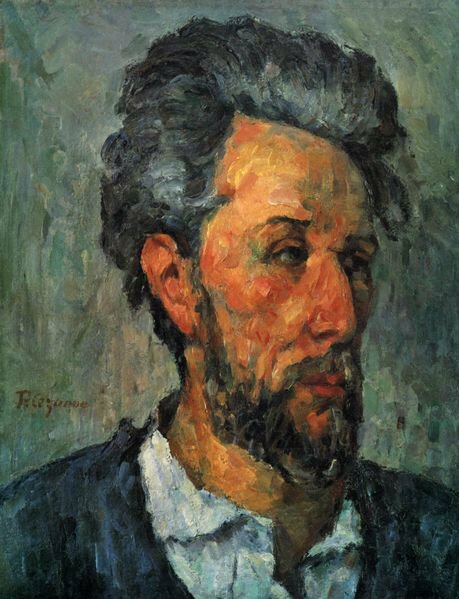 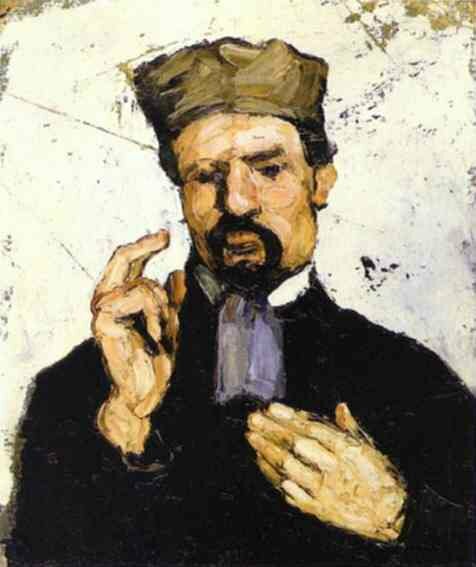 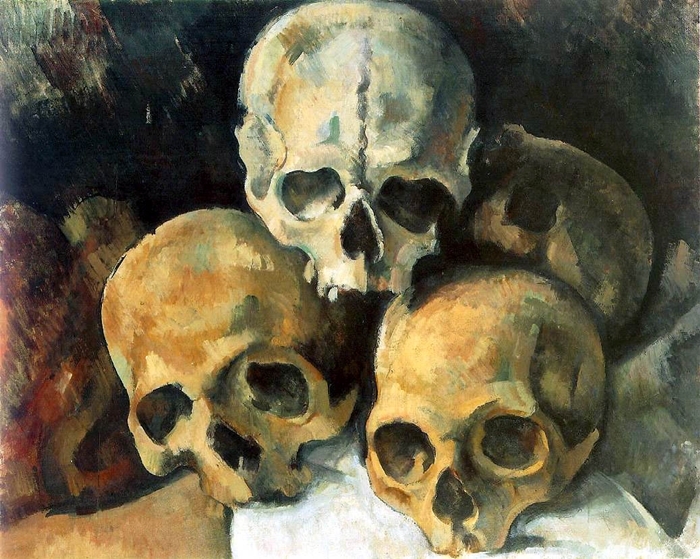 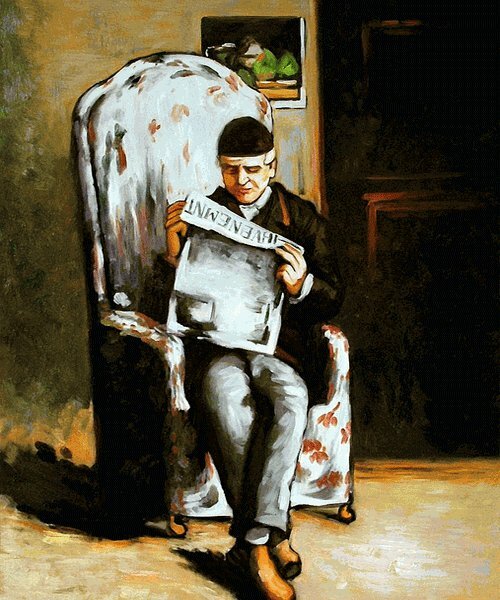 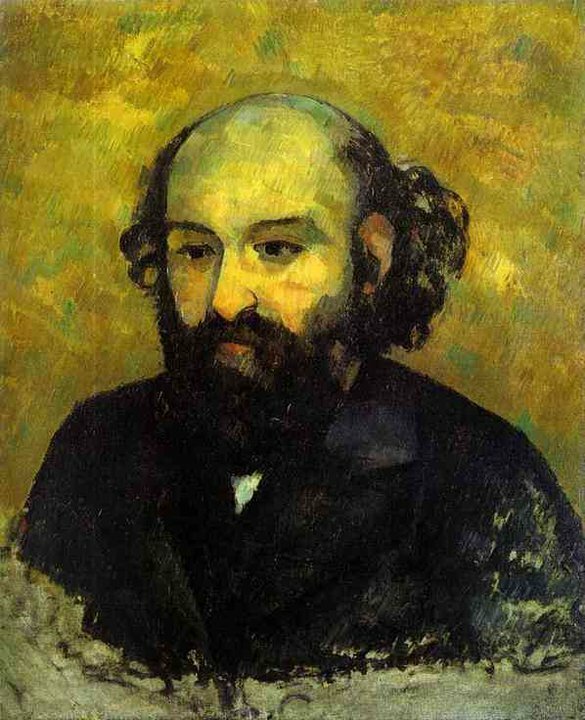 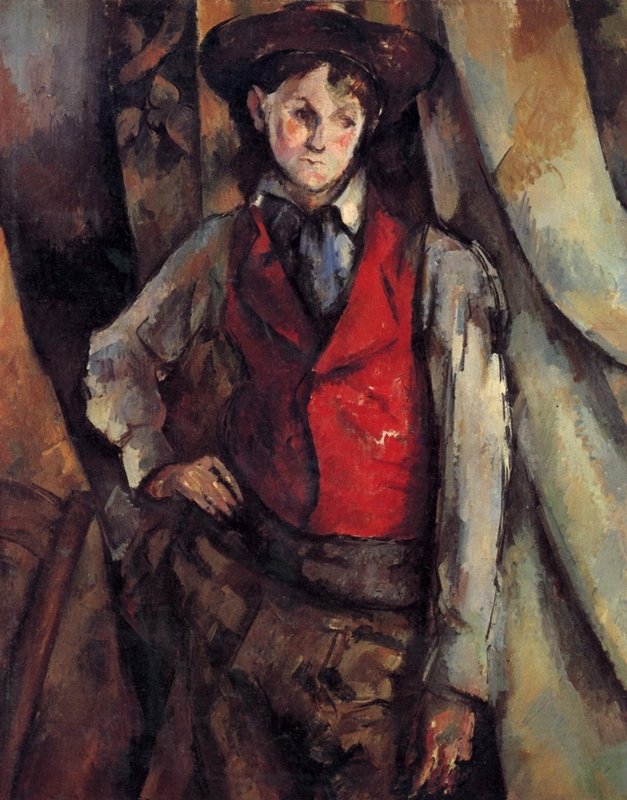 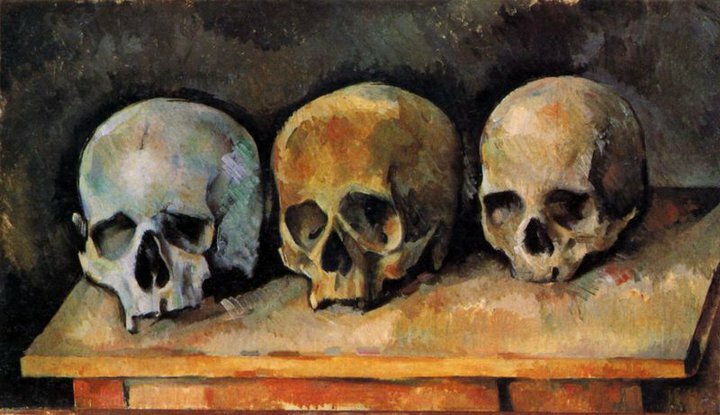 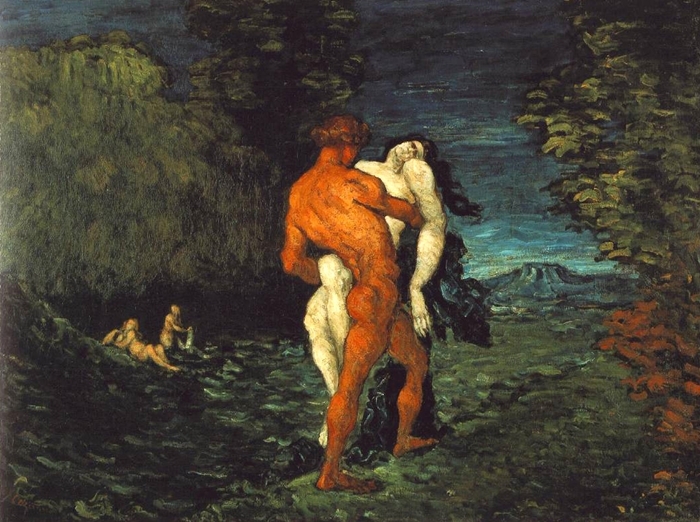 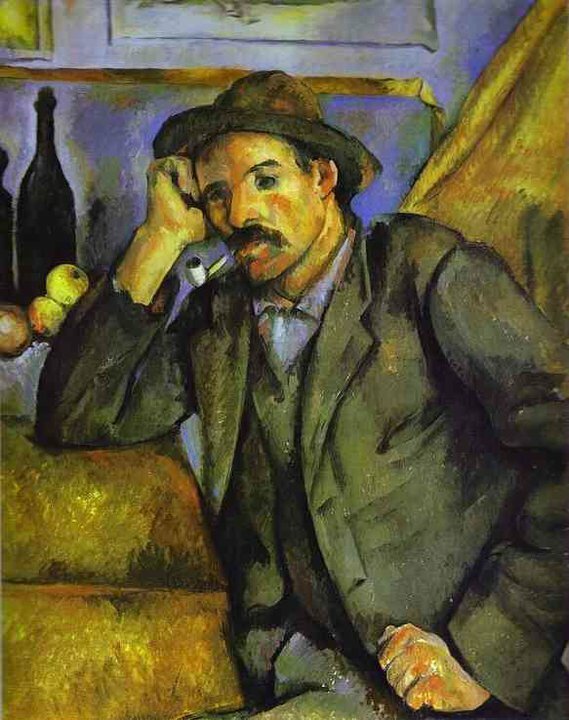 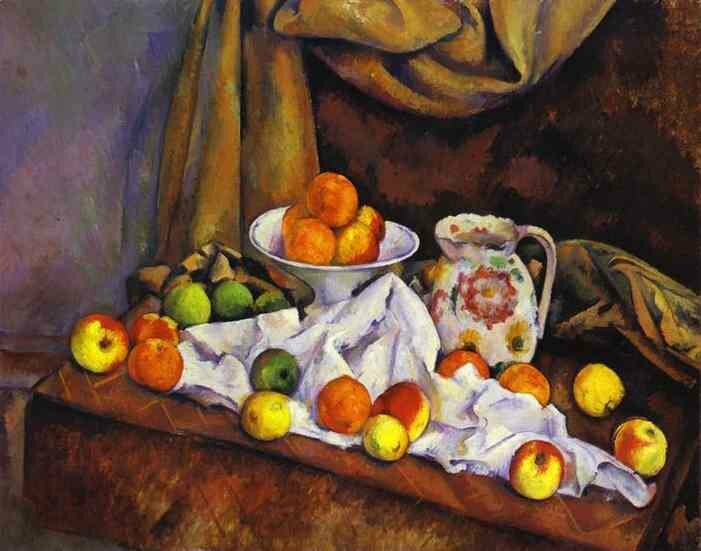 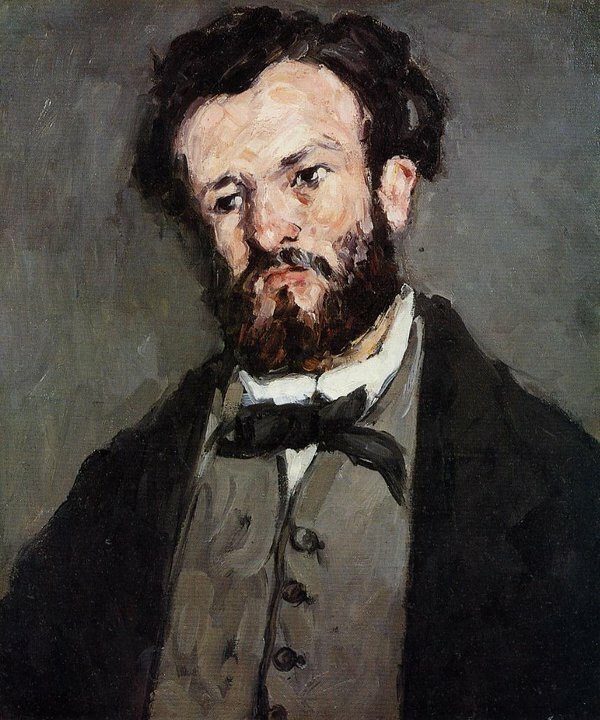 Paul Cézanne [1839-1906] was a Post-Impressionist, whose work laid the foundations of the transition from the 19th century conception of artistic endeavour to a new and radically different world of art in the 20th century. 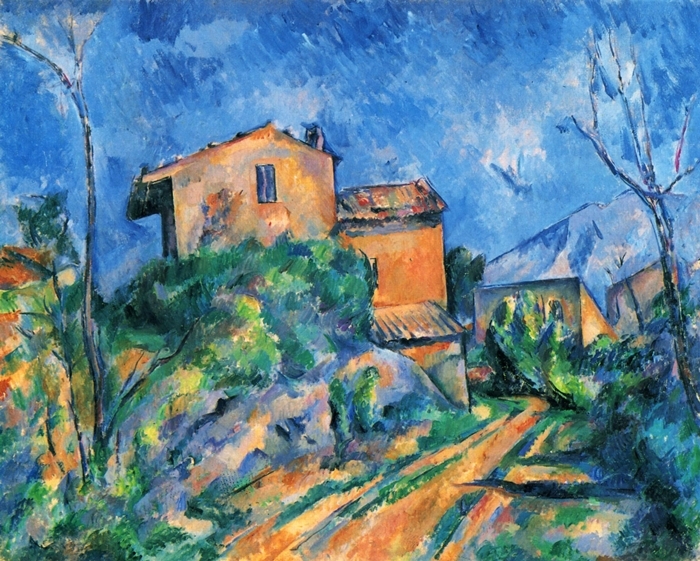 Cézanne can be said to form the bridge between late 19th century Impressionism and the early 20th century's new line of artistic enquiry, Cubism. 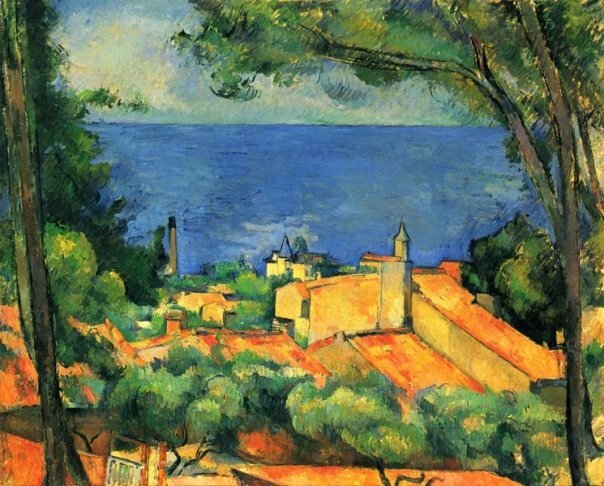 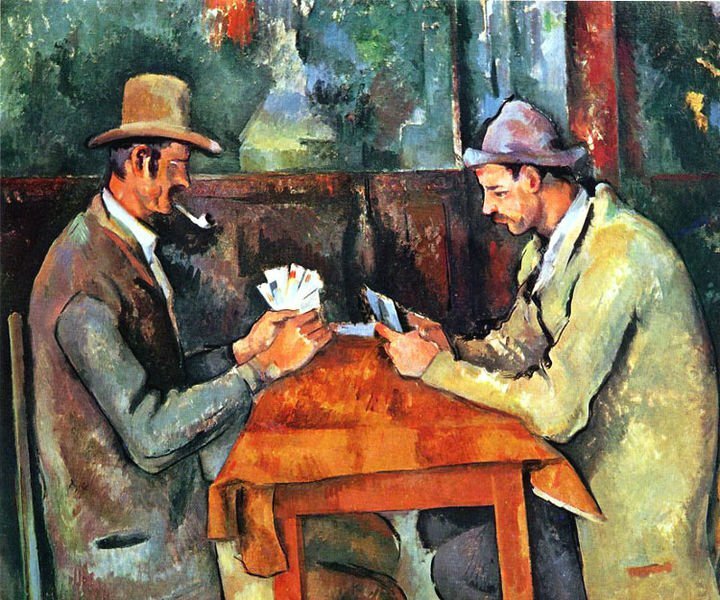 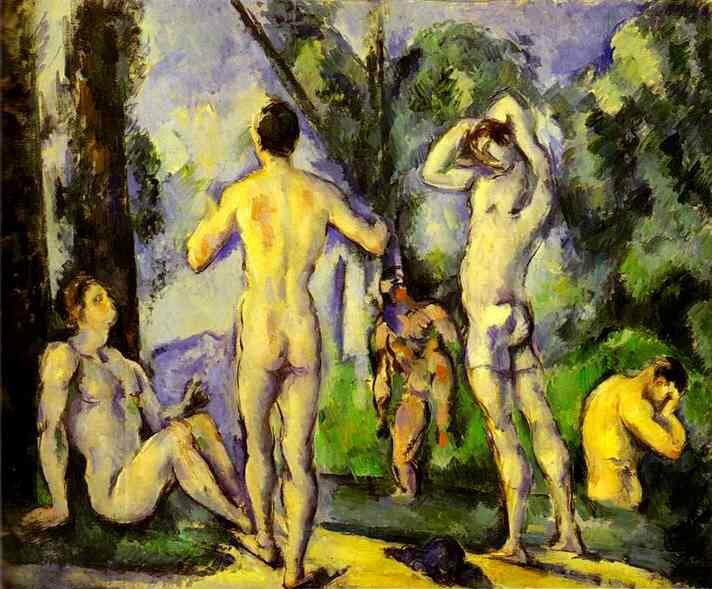 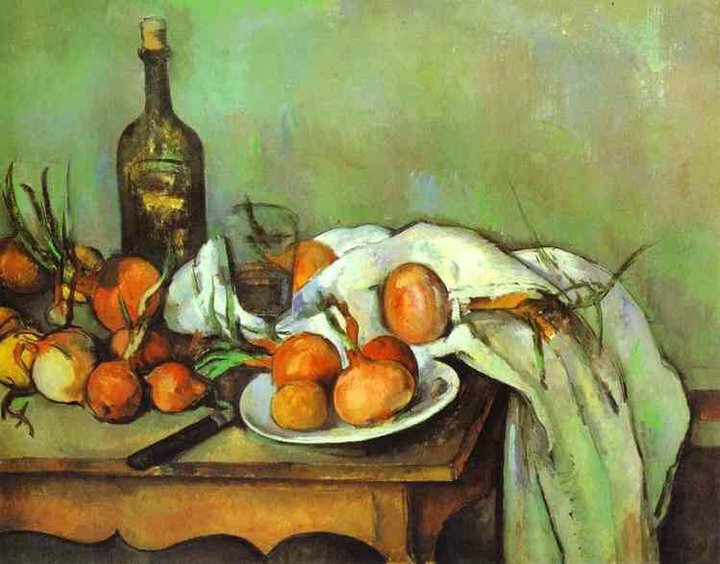 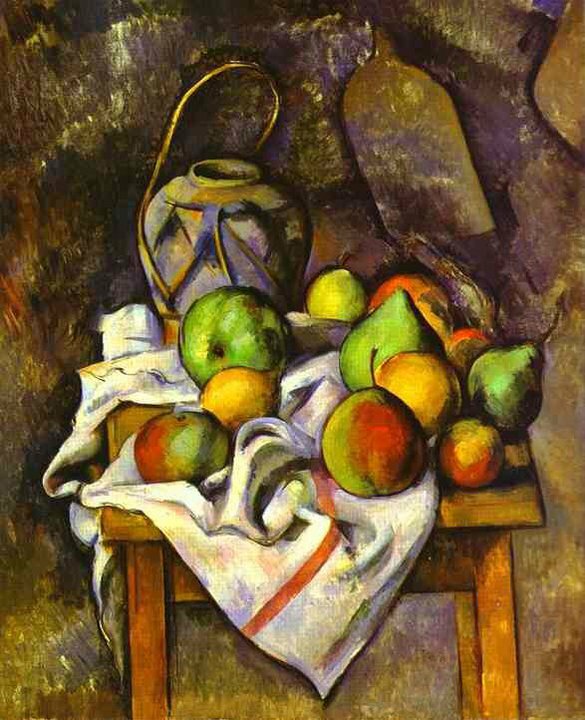 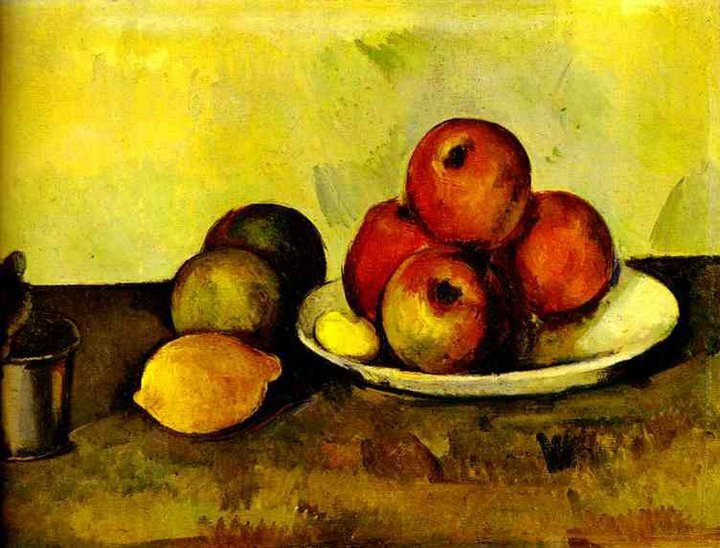 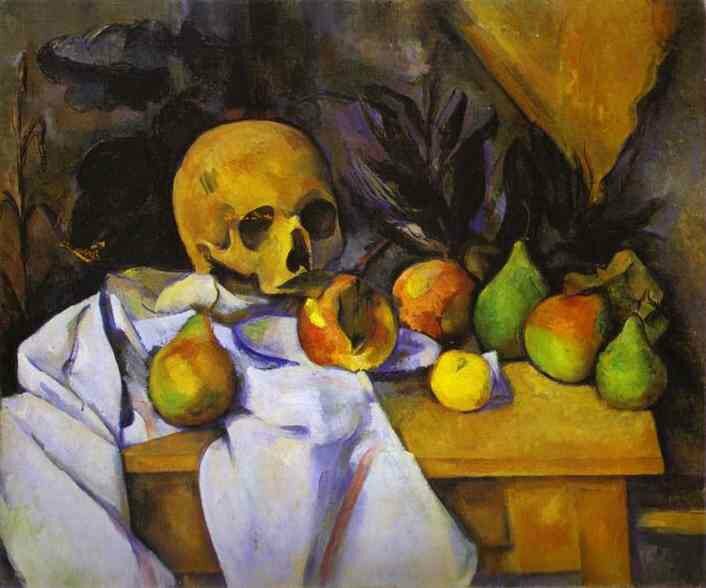 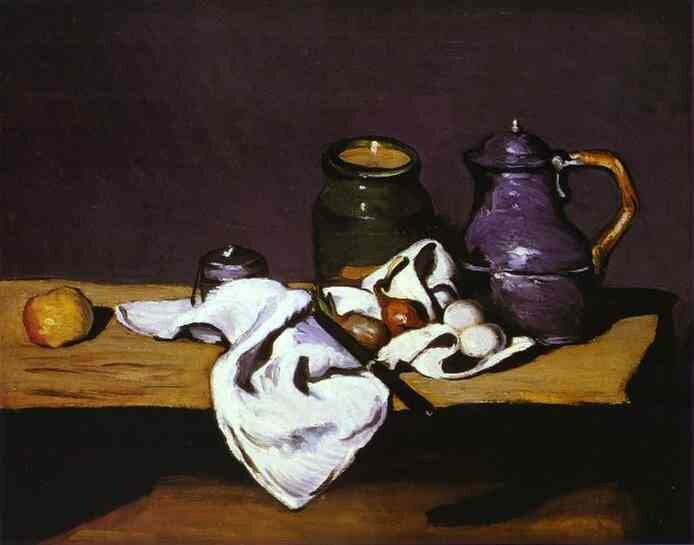 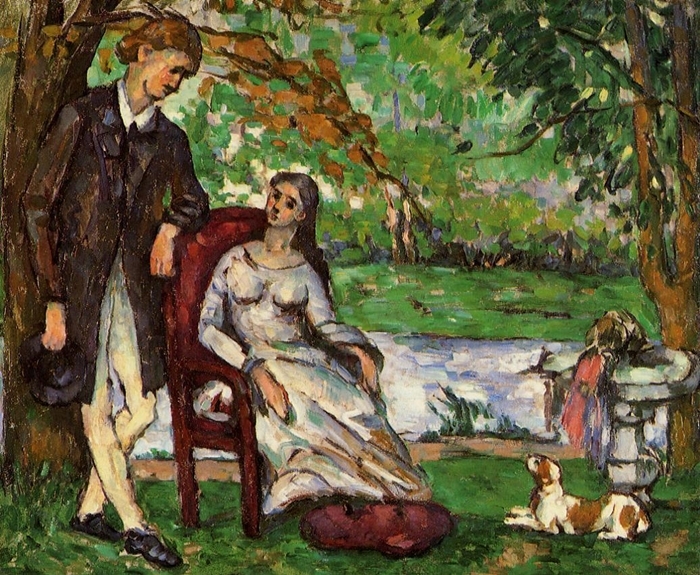 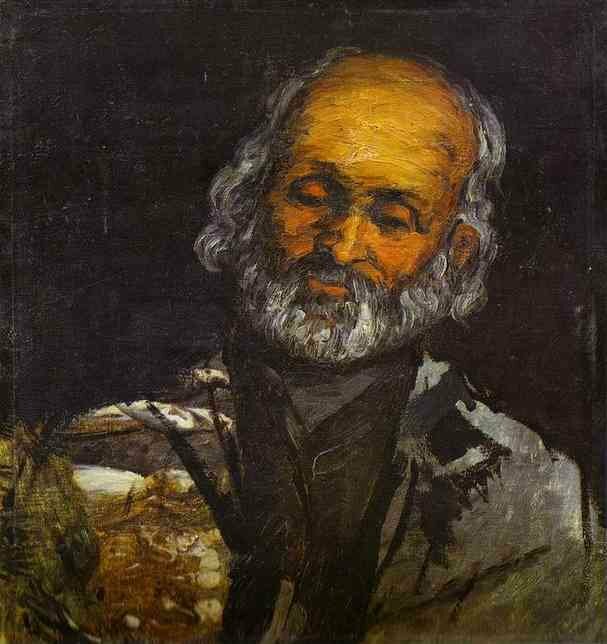 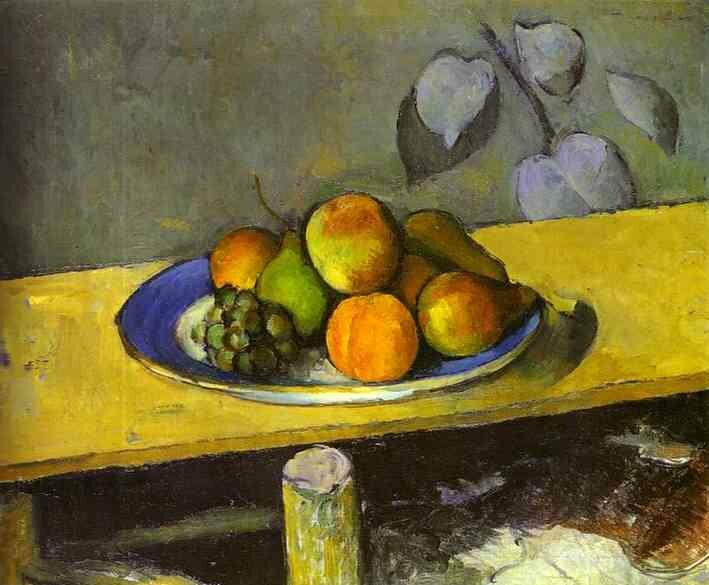 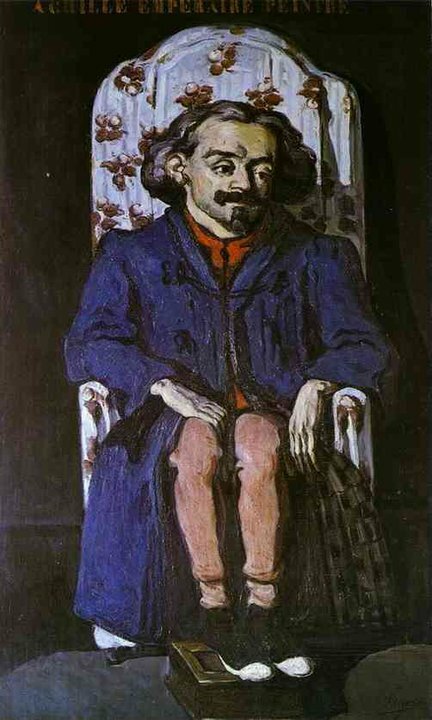 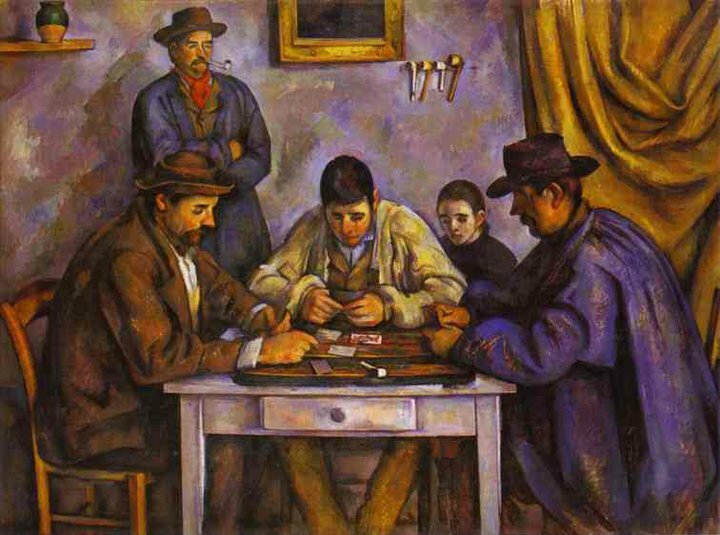 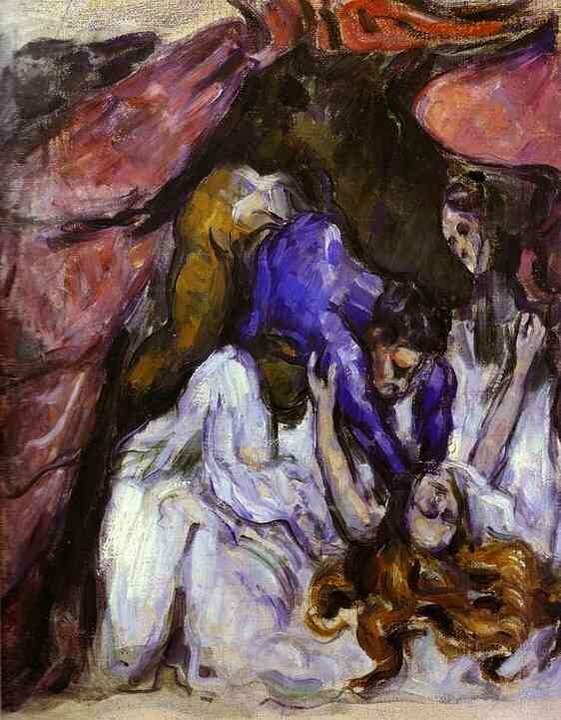 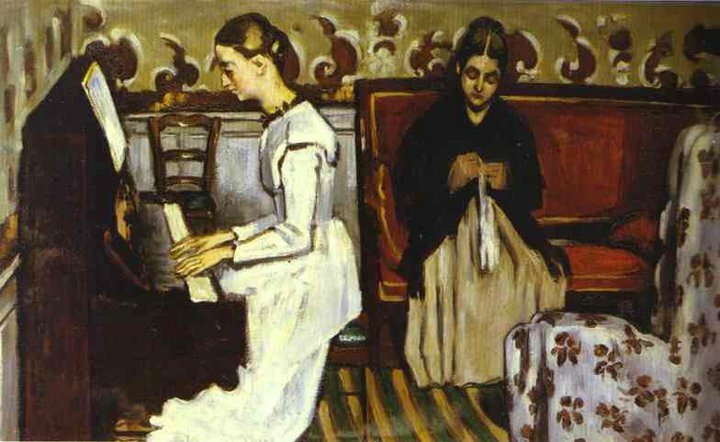 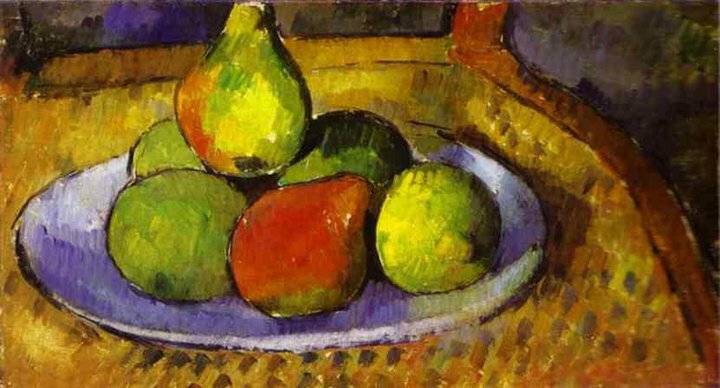 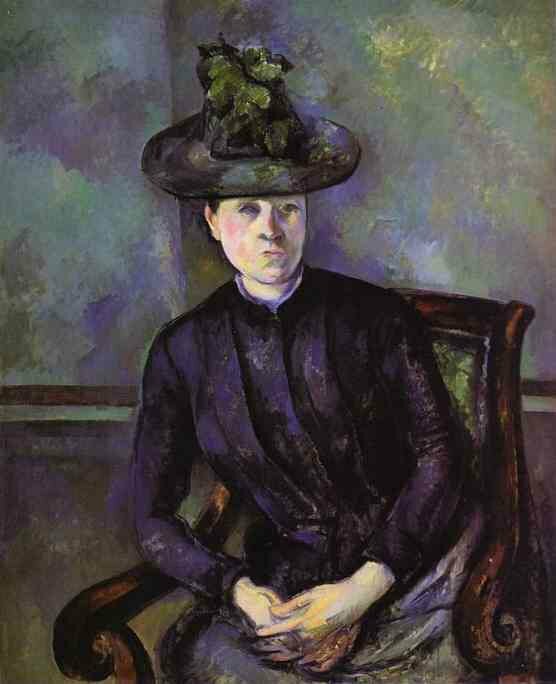 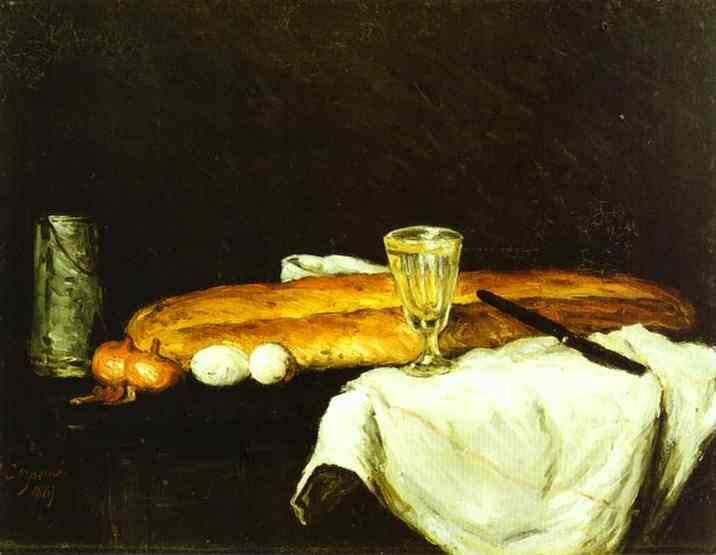 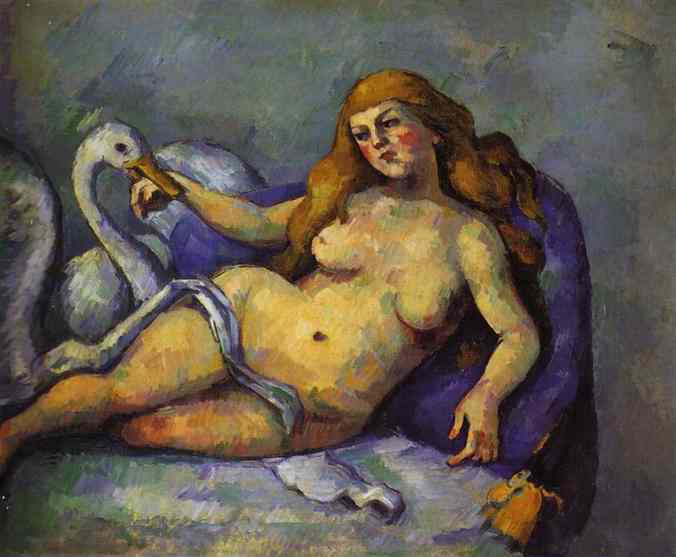 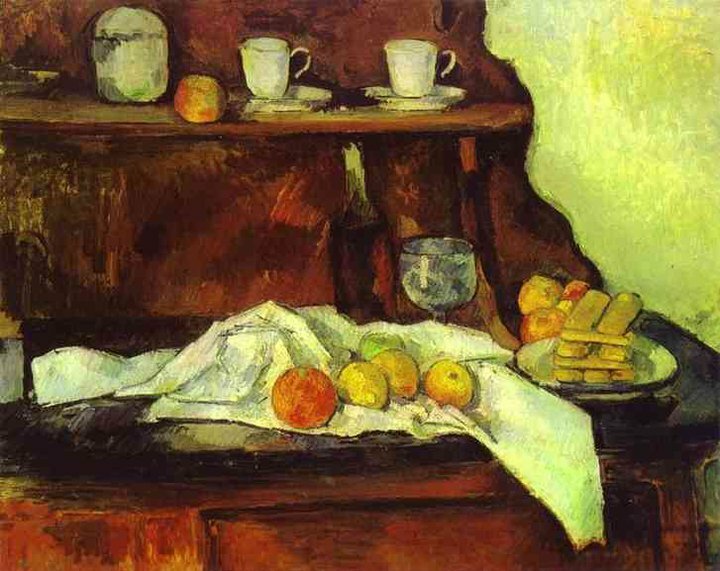 The line attributed to both Matisse and Picasso that Cézanne "is the father of us all" cannot be easily dismissed. 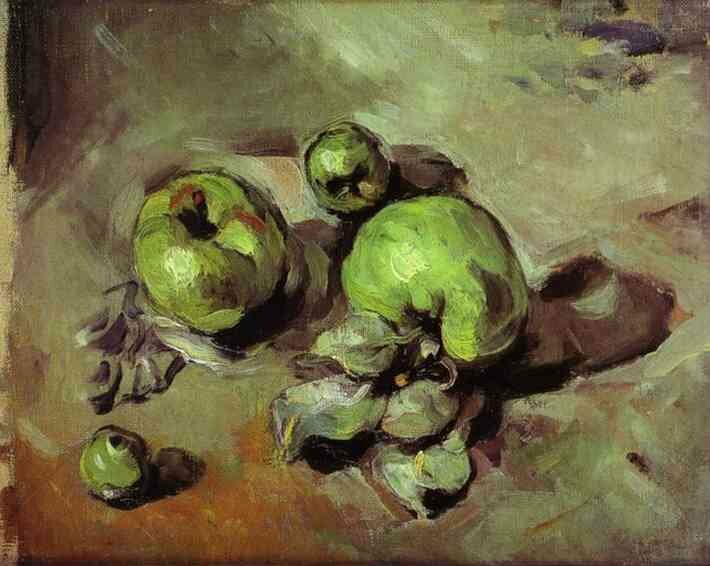 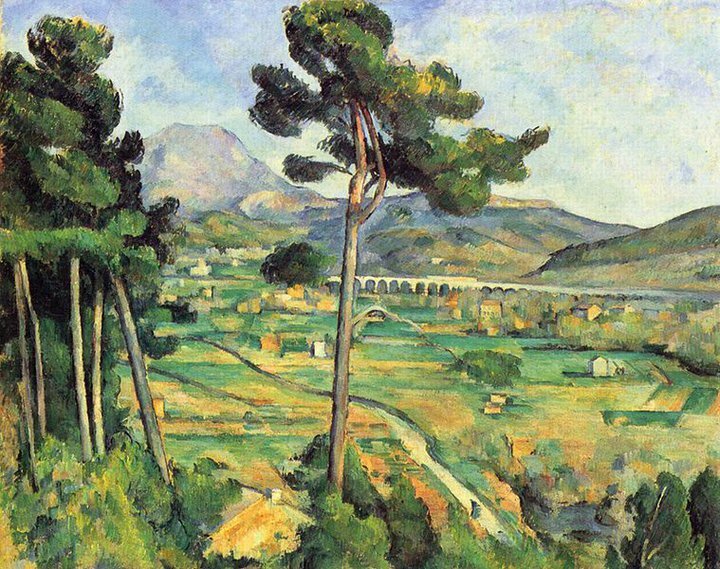 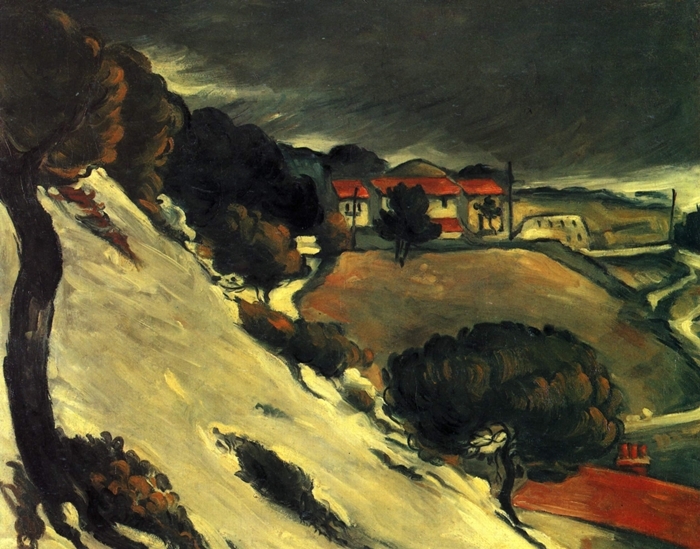 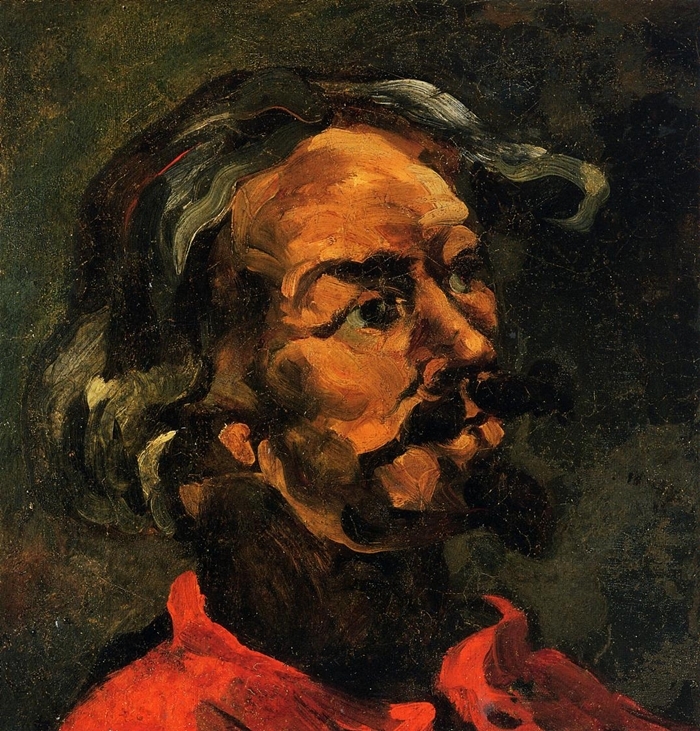 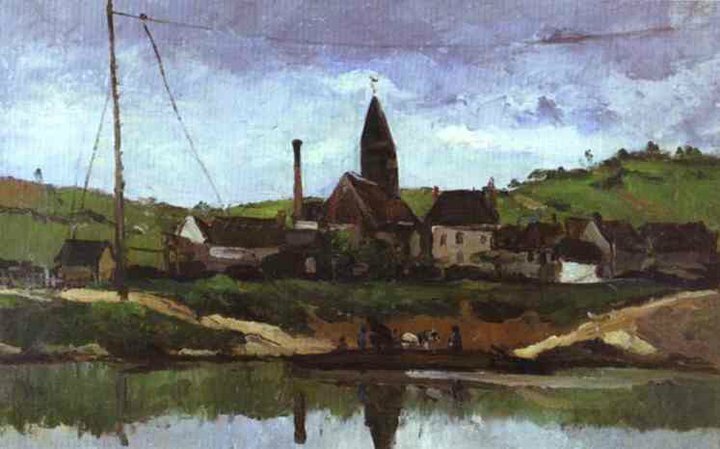 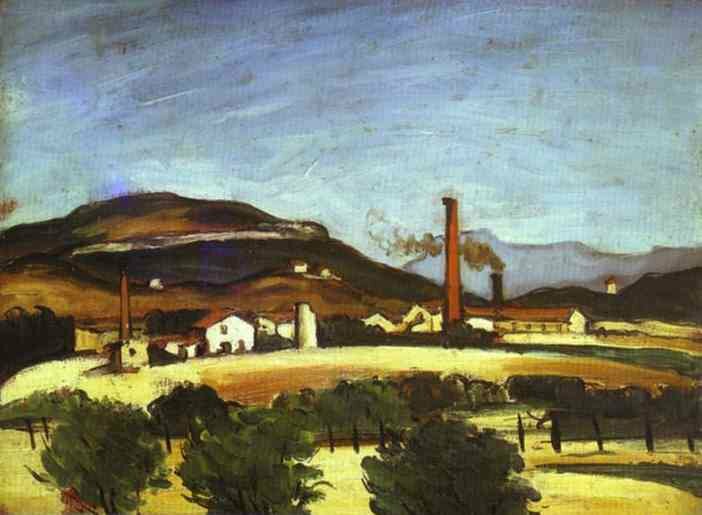 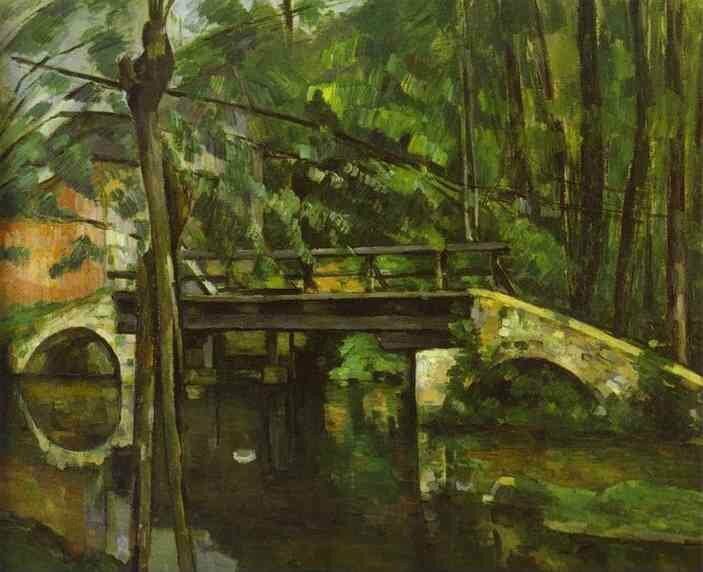 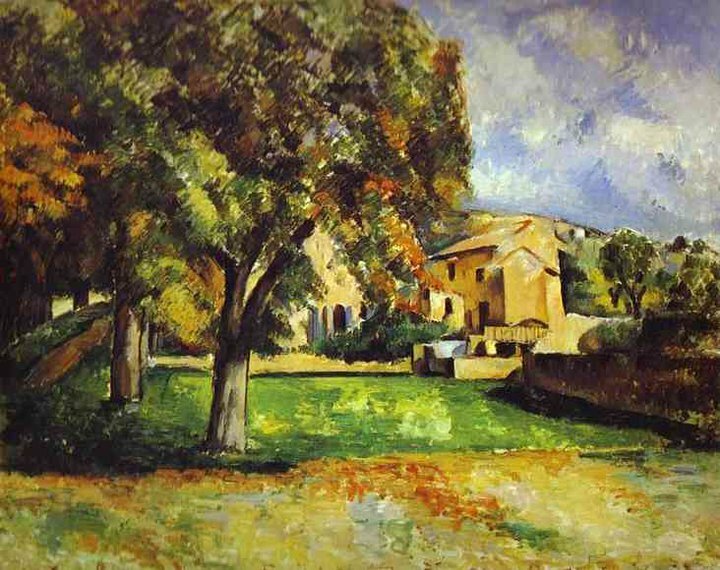 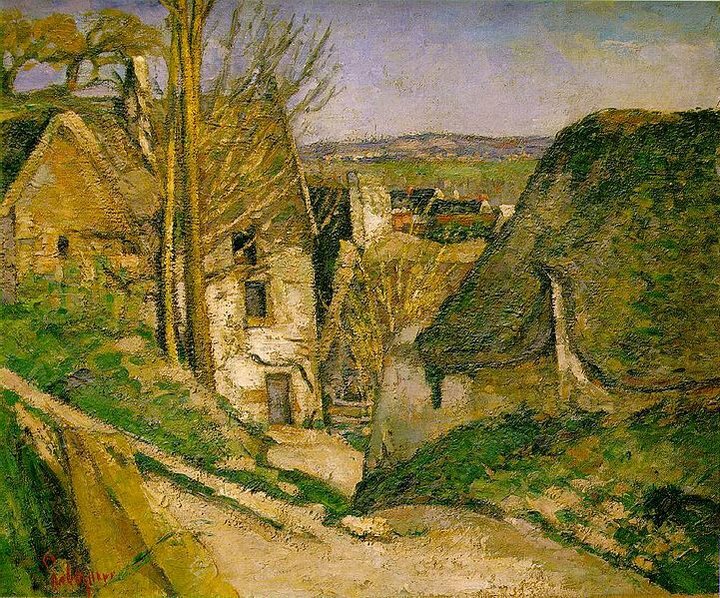 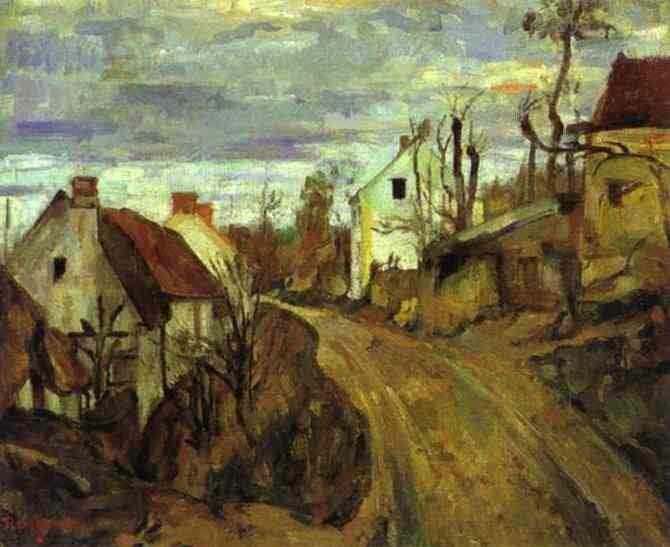 Cézanne's often repetitive, sensitive and exploratory brushstrokes are highly characteristic and clearly recognizable. 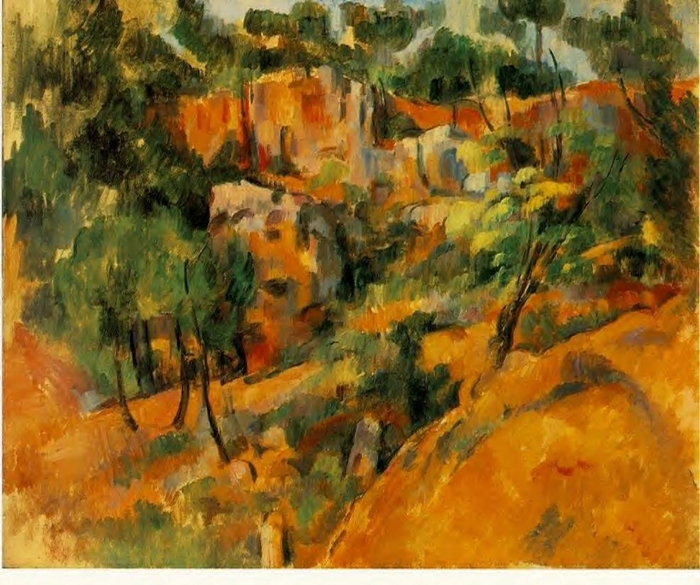 He used planes of colour and small brushstrokes that build up to form complex fields, at once both a direct expression of the sensations of the observing eye and an abstraction from observed nature. 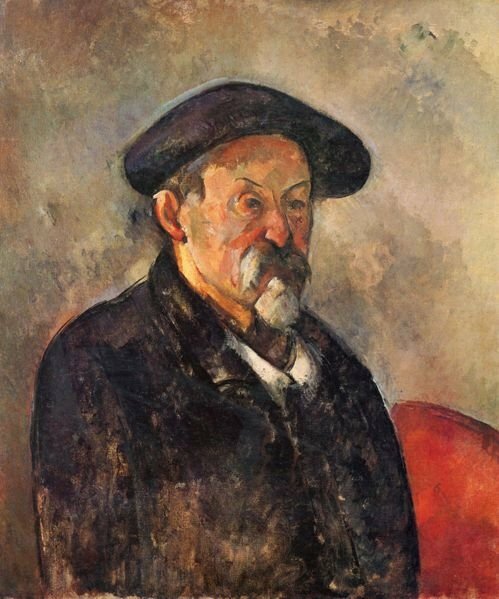 The paintings convey Cézanne's intense study of his subjects, a searching gaze and a dogged struggle to deal with the complexity of human visual perception. 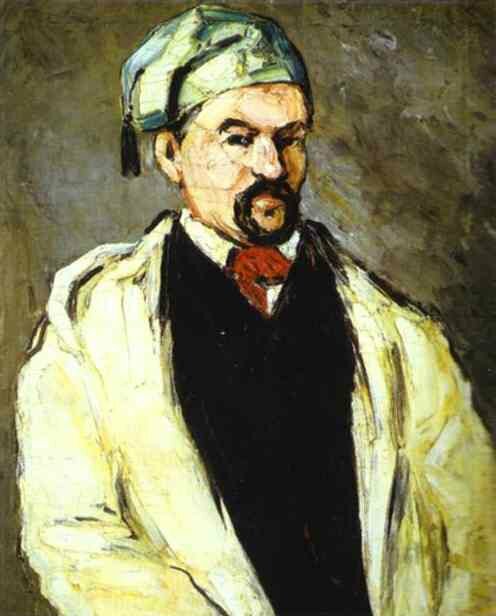 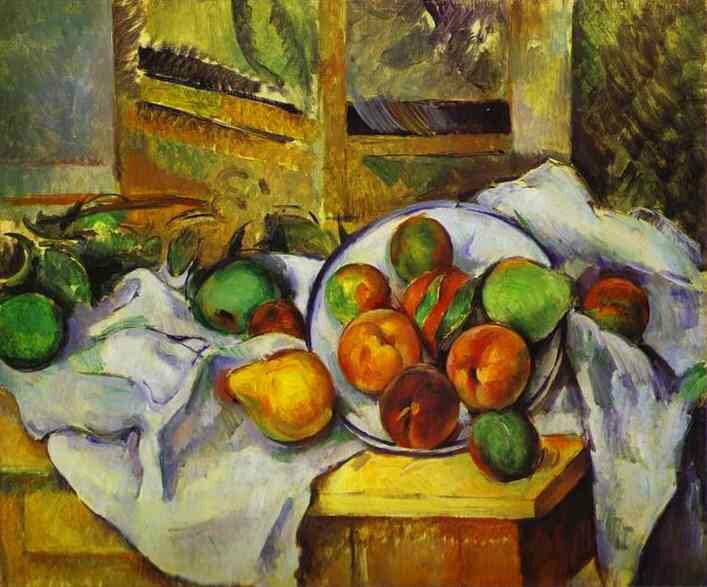 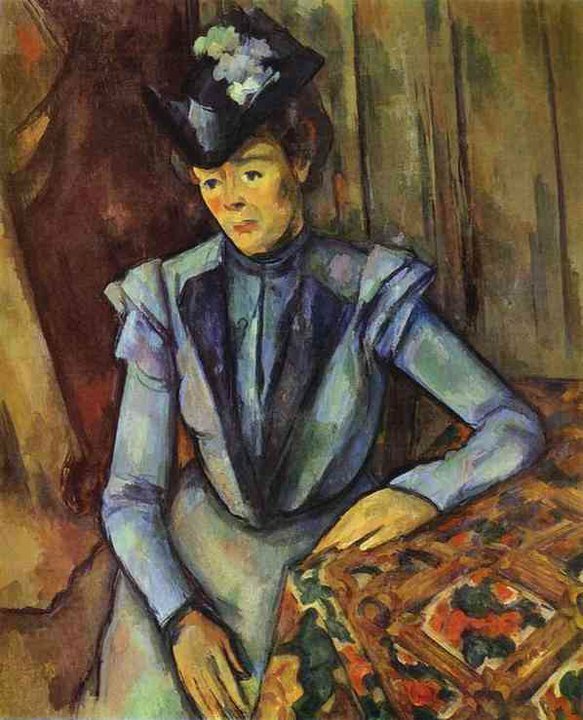 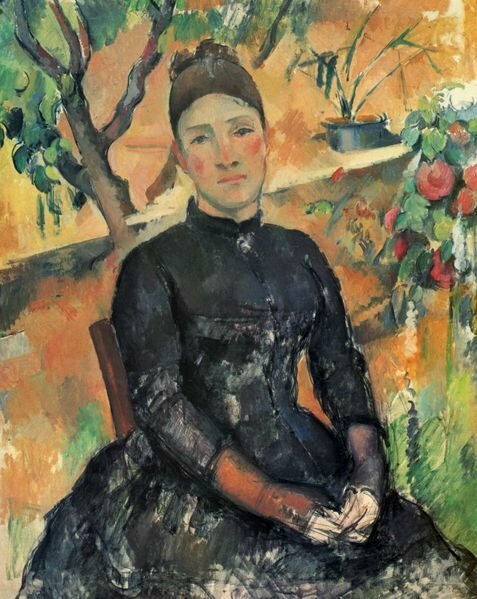 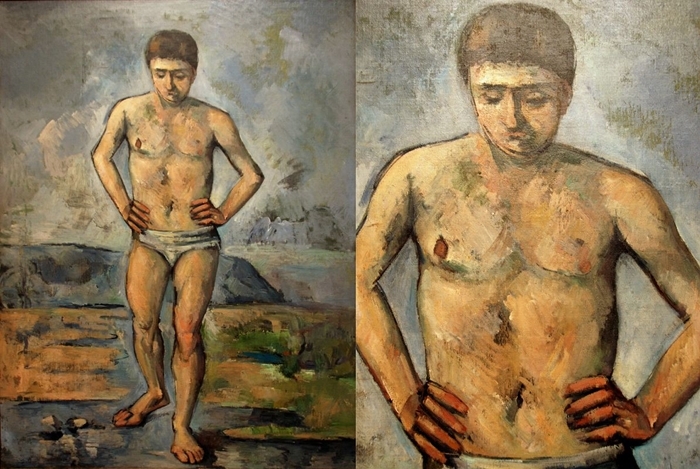 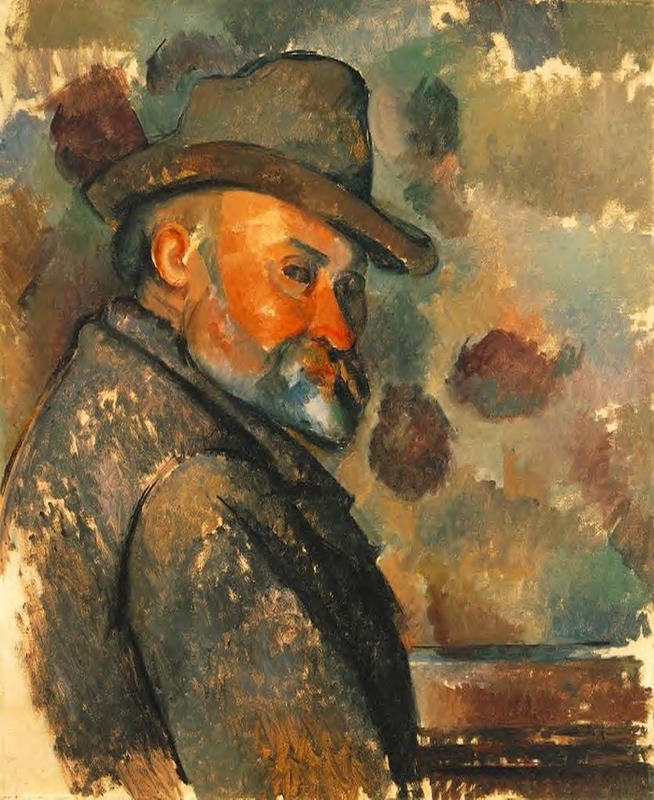 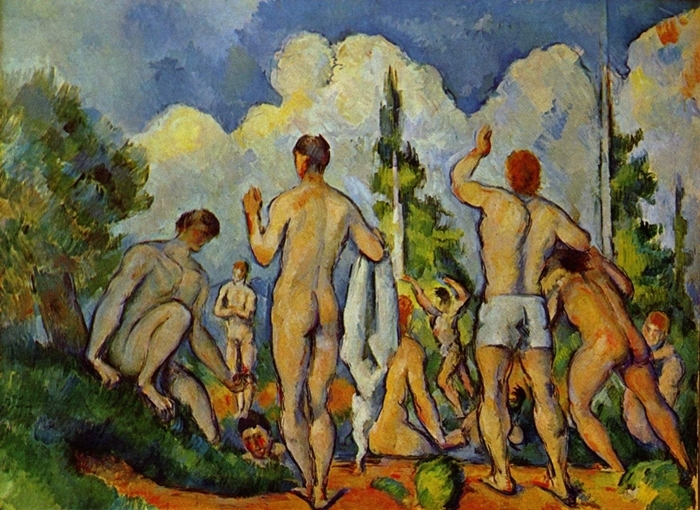 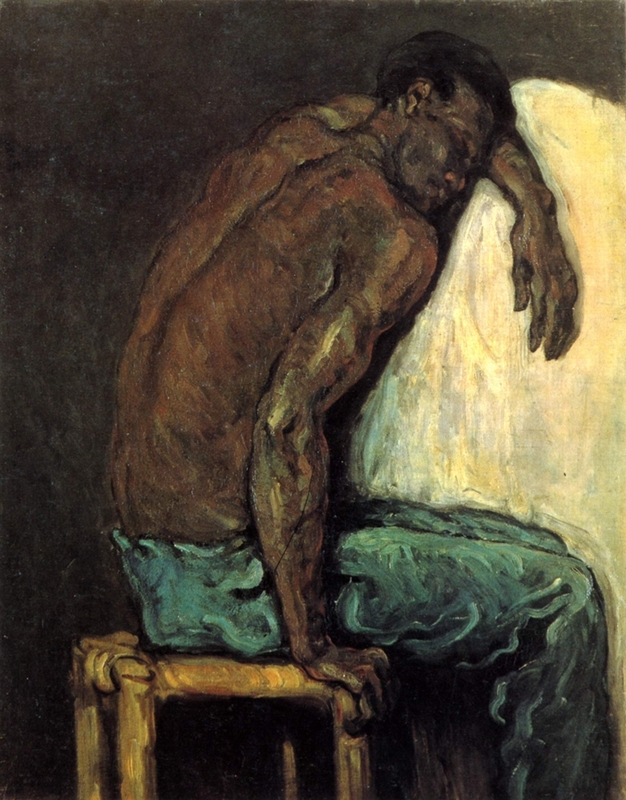 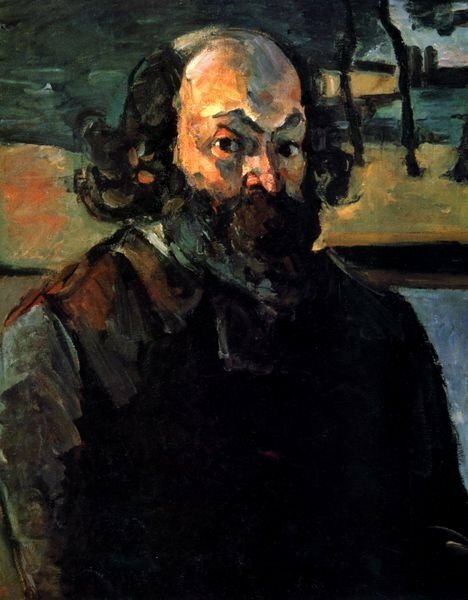 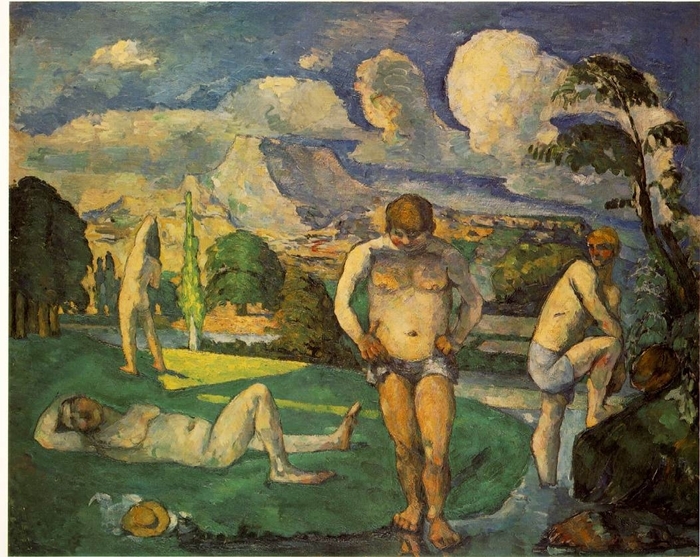 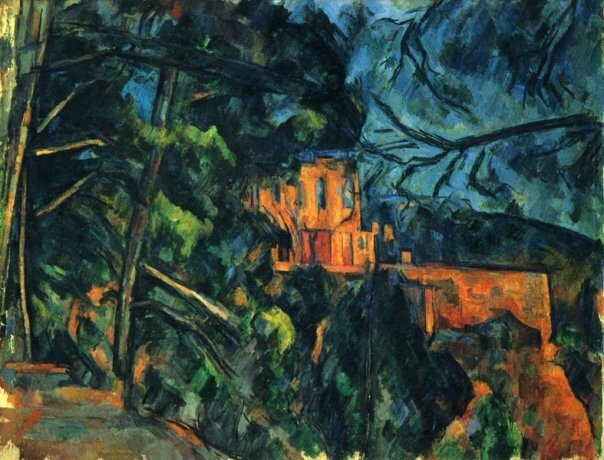 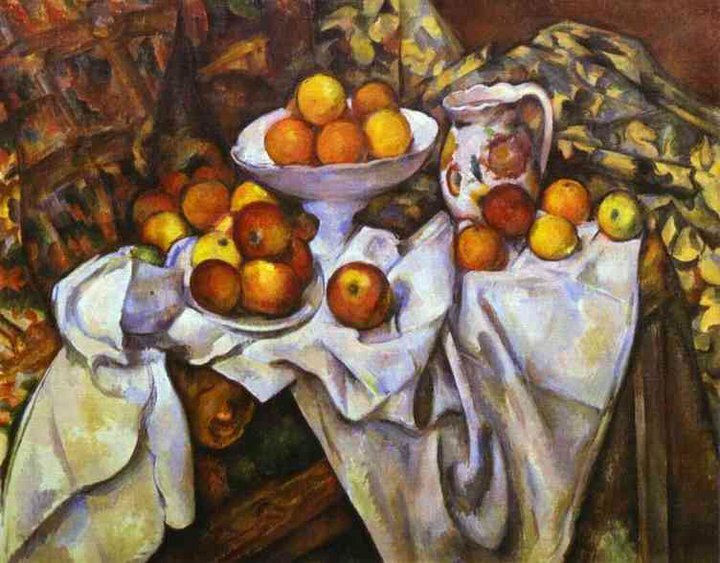 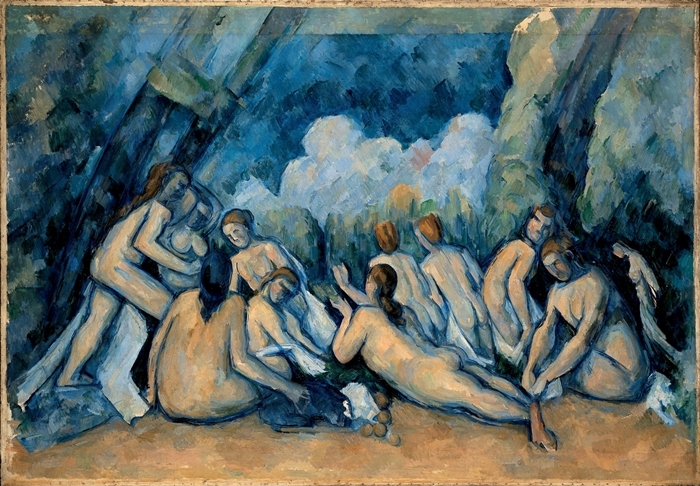 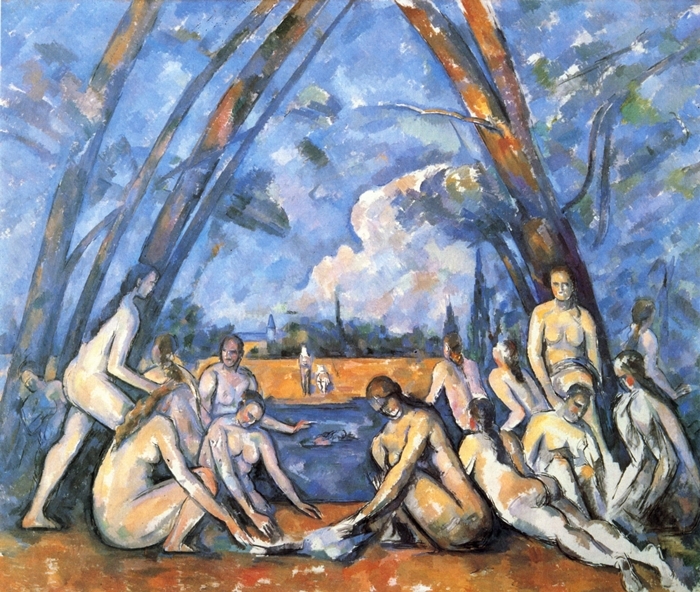 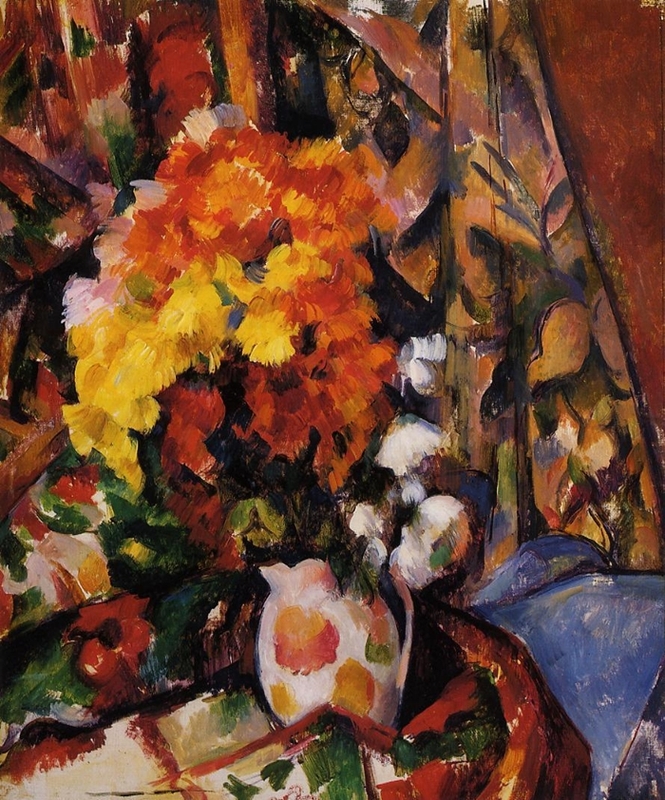 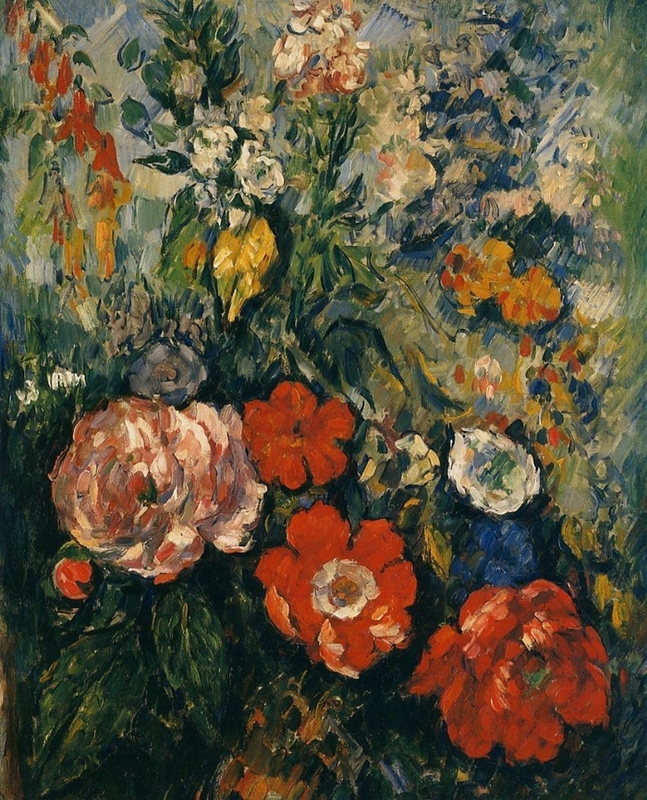 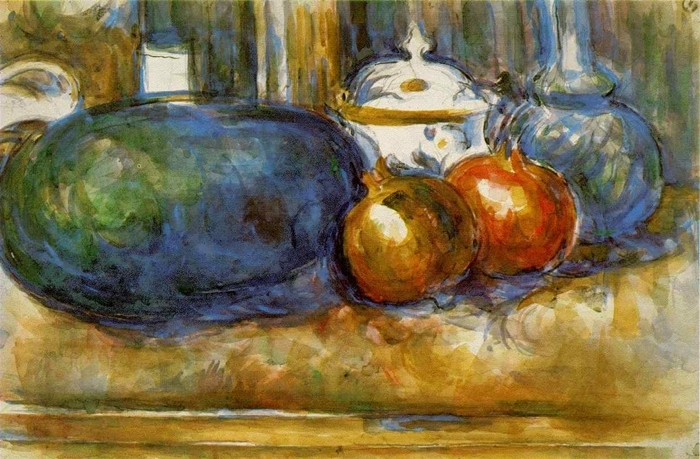 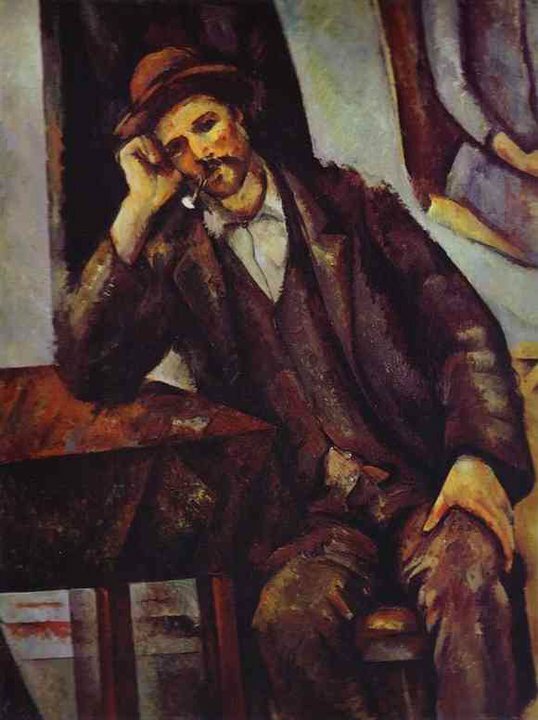 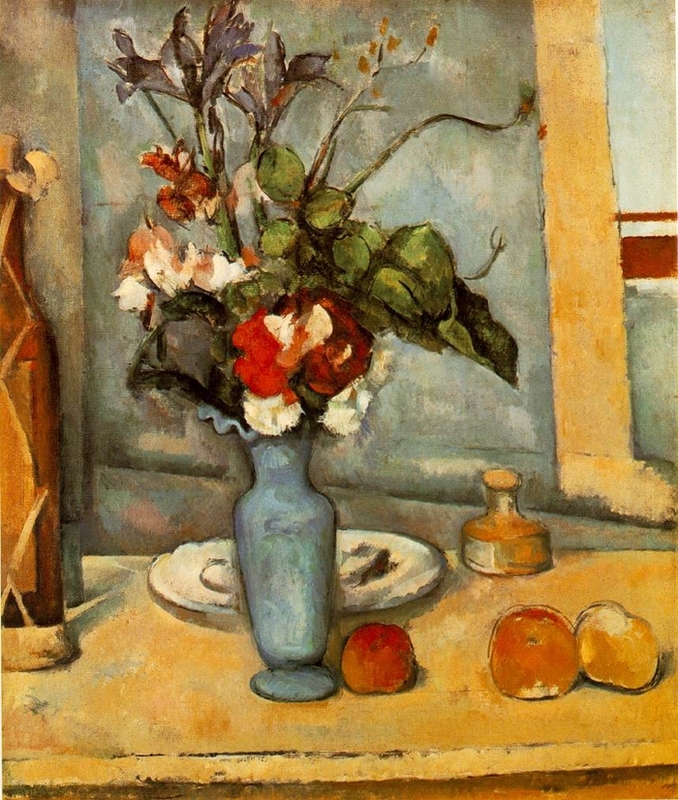 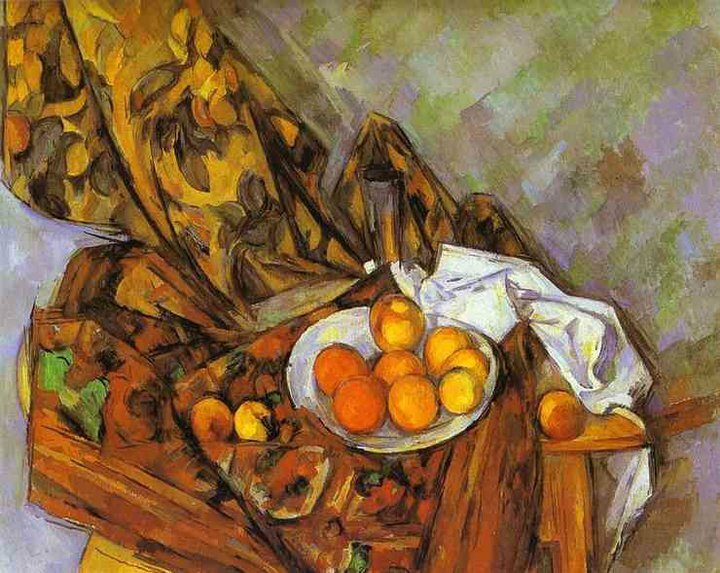 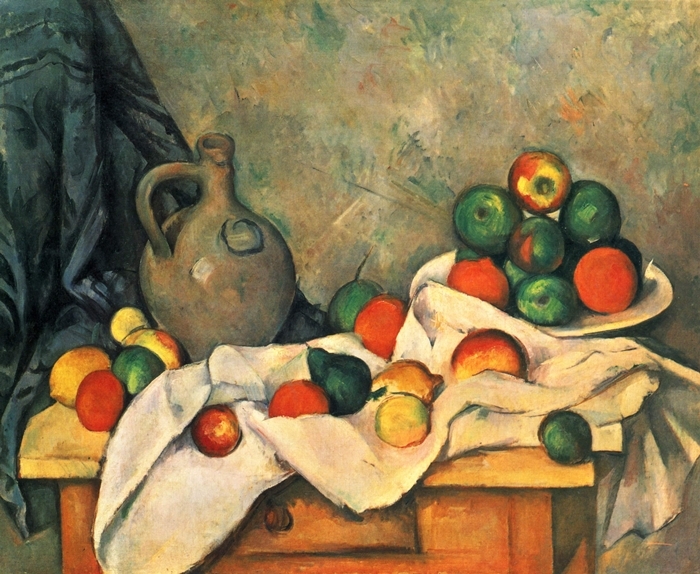 After Cézanne died in 1906, his paintings were exhibited in Paris in a large scale museum-like retrospective in September 1907. 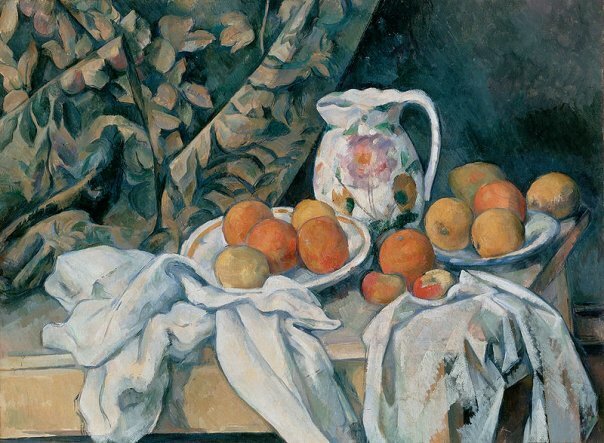 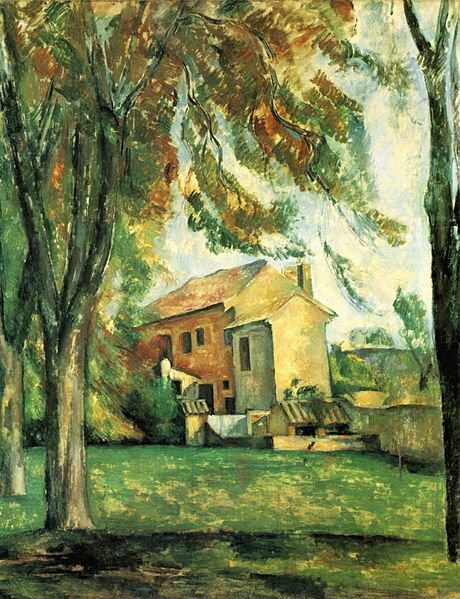 The 1907 Cézanne retrospective at the Salon d'Automne greatly affected the direction that the avant-garde in Paris took, lending credence to his position as one of the most influential artists of the 19th century and to the advent of Cubism. 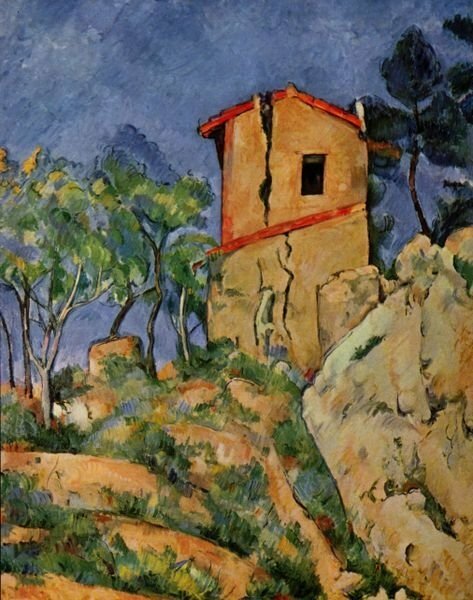 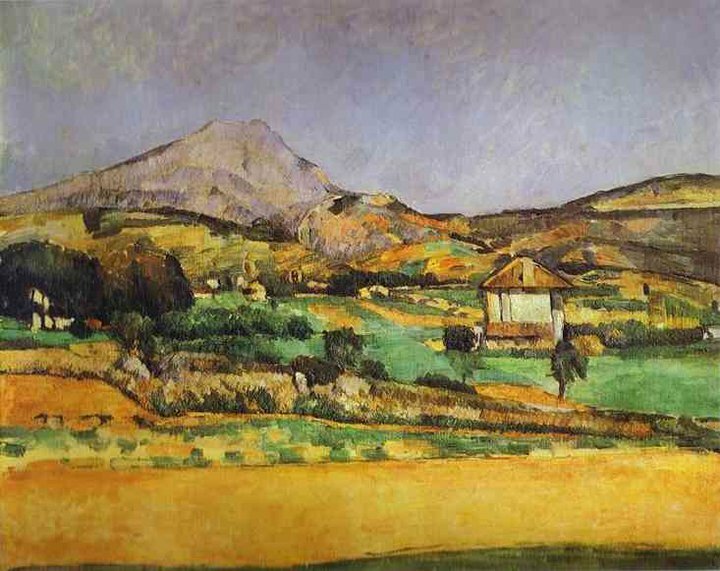 Cézanne's explorations of geometric simplification and optical phenomena inspired Picasso, Braque, Gris, and others to experiment with ever more complex multiple views of the same subject, and, eventually to the fracturing of form. 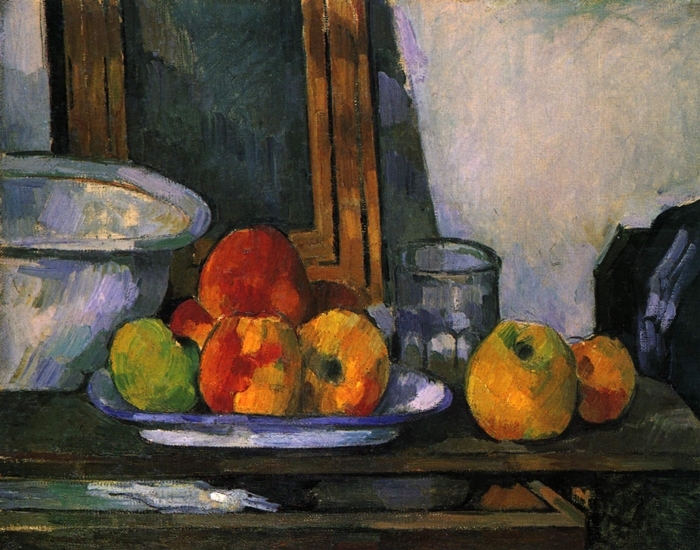 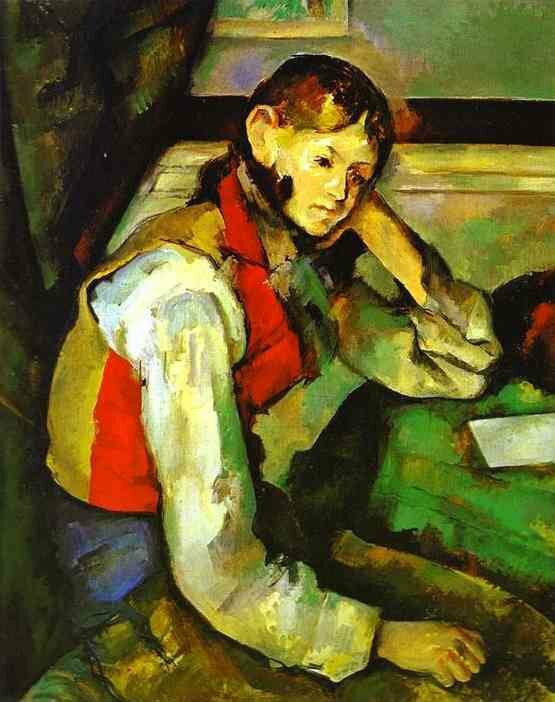 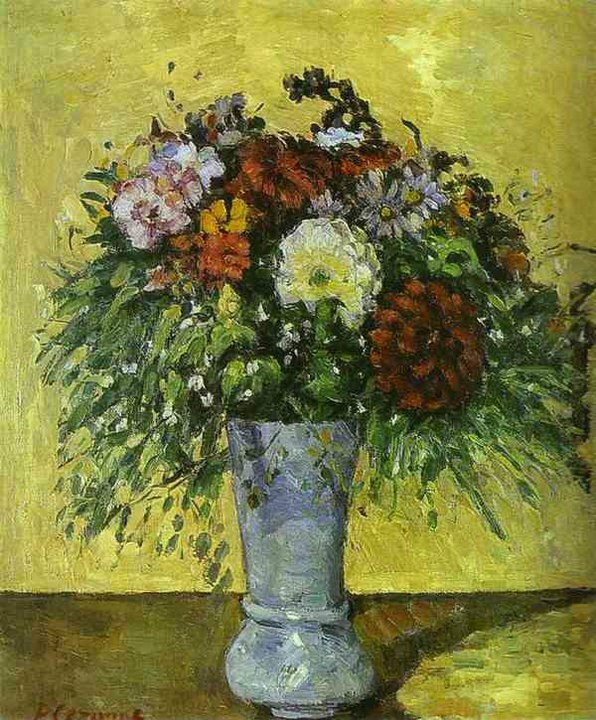 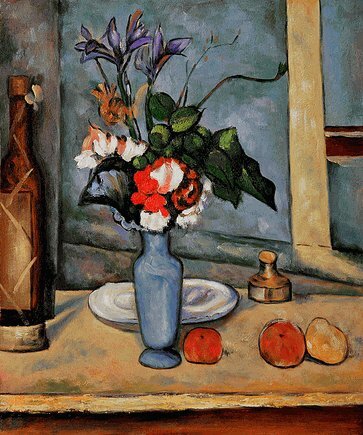 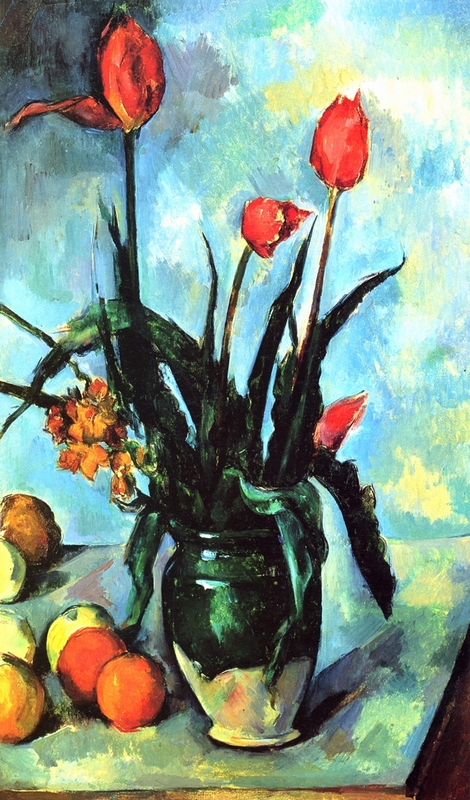 Cézanne thus sparked one of the most revolutionary areas of artistic enquiry of the 20th century, one which was to affect profoundly the development of modern art. 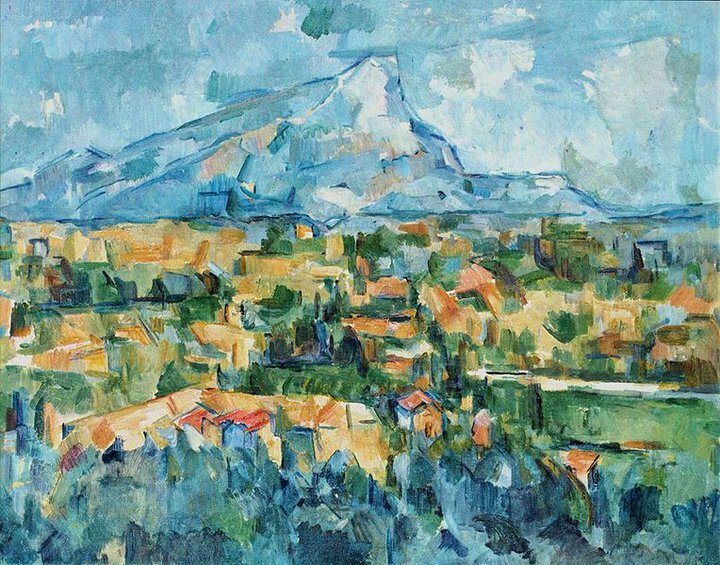 A prize in his memory, called the Cézanne medal, is granted by the city of Aix en Provence, in France for special achievement in the arts.